Previously, when I thought of hot dogs, I thought of New York. I have discovered, however, that the Scandanavians have taken the traditional hot dog to new levels (highs and lows). The first option is the traditional mustard and ketchup combination. The bread is slightly warmed on a grill and the sausage is also grilled. I found it tastier than a new york dirty water hot dog as I prefered the meat grilled. Moving up from the traditional, is what's called a French hot dog. The only change here is that the sausage is inserted into a baguette through a circular hole rather than placed in between a sliced bun. There is no discernible change in taste, it's just a little less messy to eat. Moving on is the first step in a range of swedish hot dogs: the addition of deep fried onions. The addition of the crunchy onions gave a nice constrast to the soft bread and things were looking up. From this level, numerous toppings can be added as set out below in the menu that graces many hotdog stands in Sweden. The next option is the danish ristet hotdog, topped with mustard, ketchup, remoulade, fresh onions, fried onions and pickles. At this point, I believe the hot dog as peaked. It was delicious, perfect balance of sweet and salty and my favourite. I skipped over the next intermediate levels of hotdogs that the Swedish have invented as set out in the below menu and went straight for the grand-daddy of them all. In short, I hated it more than I thought I would. A nicely warmed piece of flatbread was then topped with cold shrimp salad, hot mashed potatoes, salad, mustard, ketchup, lettuce and tomato. I could not understand the logic behind this combination and found the entire concoction inedible. An aerial view of the completed "hot dog"
After sampling the last "hot dog", I only had one question: "why?". Lesson learned: know when to stop adding hot dog toppings for the sake of it and the only potatoes that should be near a hot dog shoud be fried. 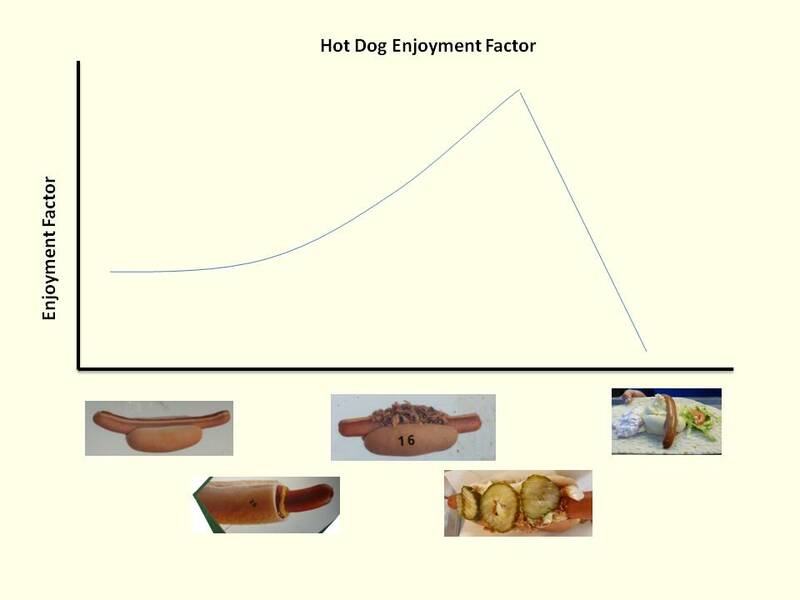 One of your most enjoyable posts - that last hot dog sounds absolutely revolting! Glad to hear you are still enjoying it all. Thanks Lisa! I'm quite proud of this one. Can't wait to meet baby Finn, congratulations!